Rock salt has kept our road network moving in ice and snow for half a century, and its still by far the best option for de-icing highways. Autumn is the season for speculation and big headlines regarding what the weather will do over the winter period. Tabloid front pages claim: “Worst winter for decades: Record-breaking snow predicted. Arctic conditions will grip the country.” We see similar headlines almost every year, but winter 2012/13, for example, ended up being only the 43rd coldest on record with an average temperature of 3.3C with flooding until the turn of the year. What the media often fail to explain is that, although previous records and long-term trends may suggest possible forecasts, there is absolutely no certainty about what weather the UK will see over the winter period. The science simply does not exist to make detailed, long-term forecasts for temperature and snowfall. And while we have seen a return to more normal, cooler temperatures over recent winters, it is no indication of what we can expect this year or when we might see snow. Ultimately, it is perfectly possible that we will see the whole range of weather that we get in winter at some point, including snow and freezing temperatures, but also heavy rain, windy weather and mild conditions too. It’s a bit of a lottery really; hence ­ just like a good boy scout ­ one should always be prepared. And so, thank goodness for rock salt; ­ it’s kept our road network moving in ice and snow for half a century, and its still by far the best option for de-icing highways, which is why a major part of the salt industry is dedicated to the maintenance of roads and pavements. The UK uses thousands of tonnes of rock salt every year, capitalising not only on its antifreeze properties , but also its large granules, which can provide traction for vehicles’ tyres against existing ice. Of course, we still get caught out from time to time when the weather catches everyone by surprise, but if it were not for the mines and the salt supply chain things would be a whole lot worse. And yet, people still underestimate the importance and value of rock salt, while others arguably waste their time and money looking for alternatives. Not that there is anything necessarily wrong with exploring options. People have tried everything from beet- juice, cheese brine, elephant dung and throwaway solubles from vodka manufacturing – but rock salt not only remains the most effective form of de-icing material, it is also non-toxic and residual salt is gradually diluted and disposed of through natural processes. 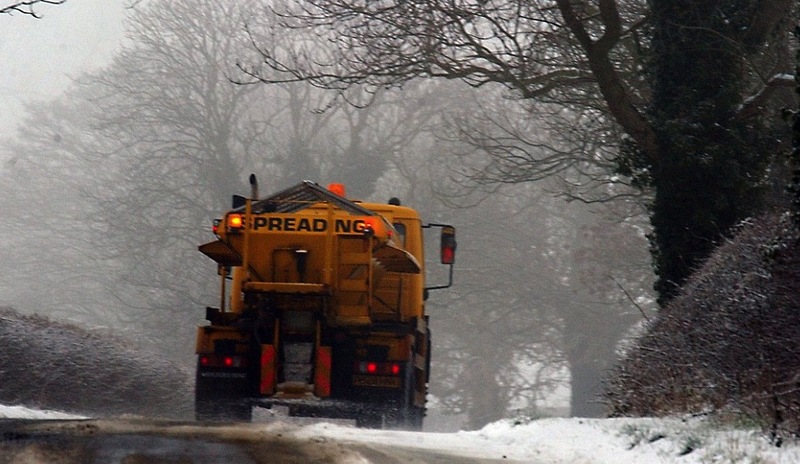 Rock salt is also the most economical and risk reducing strategic resource in winter maintenance and the economic value of keeping roads open and relatively safe in icy conditions using rock salt is widely acknowledged. If roads are not cleared, the impact of accidents and increased fuel consumption are likely to be as significant environmentally as they are in economic terms, let alone the human cost.